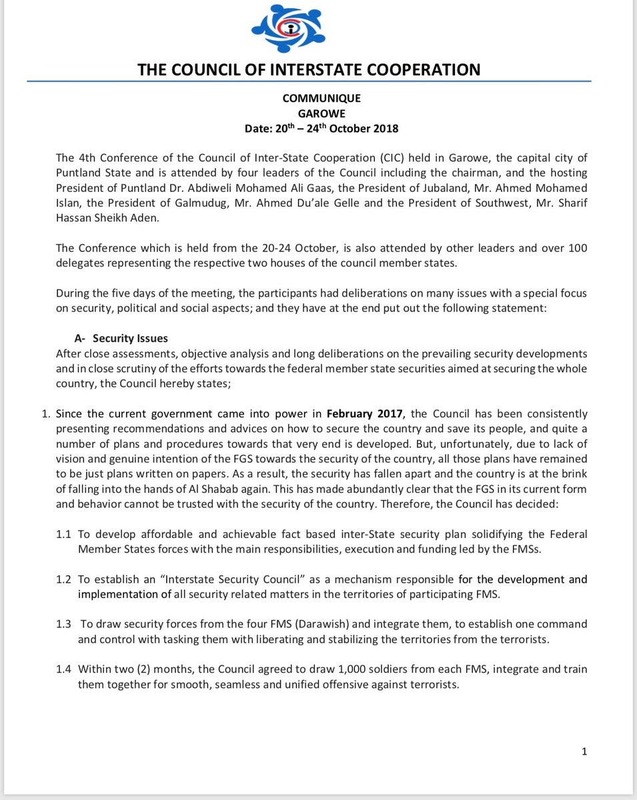 MOGADISHU (Caasimada Online)—Somalia’s Inter-state leaders have issued a joint communique from fourth conference of Council of Inter-state cooperation [CIC] held in Garowe, the capital city of Puntland. The Inter-state leaders discussed on wide range of issues, including security, political and social issues during five-day summit in Garowe town. 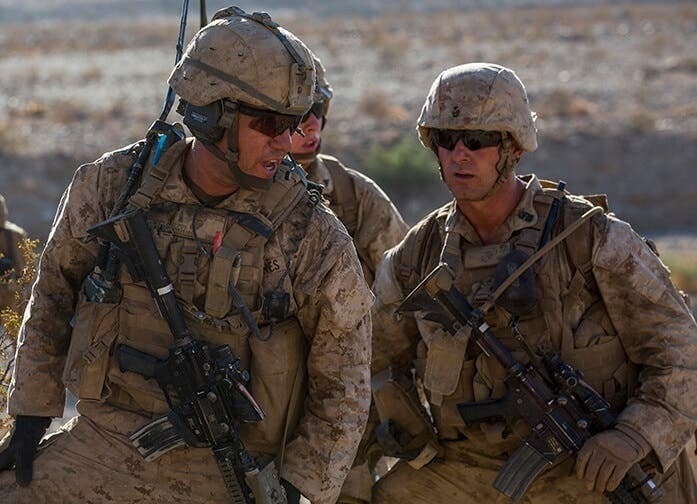 The leaders agreed to form their own unified forces against Al Qaeda linked Al-Shabaab, drawing 1,000 soldiers from each region, who will be trained within two months. They [the leaders] have reiterated their opposition to federal government policies on federalism and Justice System. The leaders accused the federal government of interfering with regional issues, failure to execute security architecture and not fulfilling political deals. 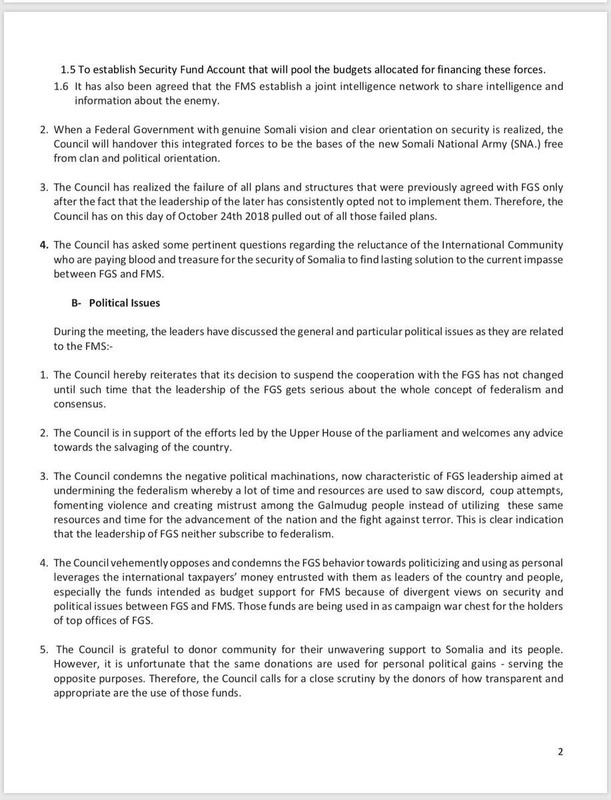 Last month, Somalia’s state leaders accused central government of interfering regional issues and cut all working relationships with the Federal government, amid on-going political rifts. 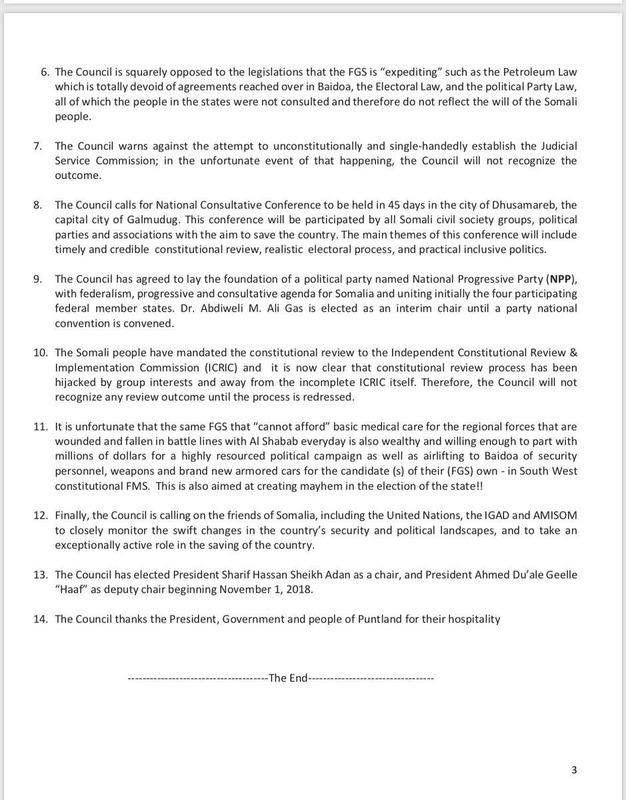 The country’s regional leaders also chose to boycott a National Security Council meeting scheduled for Sept. 17 and 18 in Somali capital Mogadishu. However, UN says the decision by the five regional presidents could embolden Al Shabaab and negate the gains made by the African Union Mission in Somalia.